OK, so this smacks a little of pork barrel spending and government waste. Here's the story: SFOS News University Research Vessel. What I would like to know is the following: Why are we (the taxpayers) building a $200 million ship in Wisconsin if the ship is to be used exclusively in Alaskan waters? There are plenty of qualified builders on the west coast. Why do we have to build it in Wisconsin and then pay to have it delivered through the Great Lakes, the Saint Lawrence, down the East Coast, across the Gulf, through the Panama Canal and all the way up the West Coast? Also, look at the photo above. Why are we installing unprotected azimuth-type propulsion pods on a vessel designed to break 2.5 feet of ice? I realize these propulsion systems provide excellent maneuverability and efficiency in ice, and I realize they have been installed with success on very large icebreakers, including the new Mackinaw, but has anyone conducted research on the collateral effects of breaking ice on pod-mounted propellers? What are the maintenance and repair issues with the pods and the propellers on these types of systems? The following is an 2007 excerpt from a icebreaker design assessment provided by the Polar Research Board and the Marine Board. Icebreaker propulsion plants have changed dramatically since the first sail-powered icebreakers. Steam and later diesel engines drove power through reduction gears to fixed pitch propellers. Those systems were prone to mechanical damage as the propeller struck ice chunks broken at the bow. Later, controllable pitch propellers were tried. The current systems use electric drives that decouple the propellers from the prime mover to reduce ice impact damage. (Consider that some of the ice chunks moving under and along the icebreaker’s hull are the size of a school bus). The electric drive systems use propellers connected directly to an electric motor. The electricity to drive the motors is produced by onboard generators. Those generators can be driven by diesel engines, gas turbines, or steam turbines (with either nuclear or conventional fossil fuel boilers). The electric drive systems also give greater flexibility for engine room design and eliminate the need for shafts and reduction gears. To further protect the exposed propellers, nozzles or ducts were installed around the propellers. These had the added benefit of increasing thrust by improved water flow. 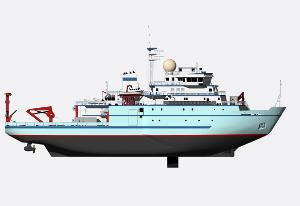 The current state of the art in icebreaker electric drive with power units is considered to be azimuth pod drives (as installed on the latest U.S. Coast Guard icebreaker MACKINAW); however, some consider them to still be in the developmental stage and unreliable. An azimuth pod drive is an enclosed unit that hangs below the hull and contains the electric drive motor attached directly to a propeller. The azimuth pod is capable of being rotated 360 degrees, enabling full thrust to be applied in any direction very quickly. Azimuth drives have been used extensively on cruise ships and other commercial vessels including ice-strengthened ships. I believe we have been choosing these systems because of the multi-mission tasks of the new icebreakers. In addition to their icebreaking, these ships are required to perform station-keeping jobs such as Nav-Aid Service and research. The 360 degree azimuthing pods are excellent at keeping a ship on station by providing highly quantied thrust in a specified direction. But are the propulsion systems truly robust enough for the job of icebreaking? Manufacturers and multi-mission advocates point to the performance benifits these systems give to icebreakers, e.g. more icebreakeing capability with less power, being able to widen channels in the ice by moving the ship sideways, and being able to break ice astern. However, are these performance characterstics that were intended from the start, or are they qualities the crews discovered after the fact? More important, how often are these vessels out of service due to propeller and/or pod damage? Should A Government Agency Have My Email Address? customers who have indicated that they would like to receive them. the Maine Attorney General's Office. apologize in advance for any issues this may cause you. Somali pirates released their latest prize yesterday after receiving a reported $7 million in ransom. According to reports the money, which was apparently dropped to the deck by a helicopter, sparked a deadly feud among the pirates. No further details have been made available. If I had to guess, I'd say some of the pirates wanted to keep all the money while others felt obliged to send a chunk to their Al Qaeda supporters. Third world sympathizers and apolologists, insurance companies, and liberal intellectuals continue to deny the maritime industry a cohesive anti-piracy deterent. Until such time as mariners are allowed to defend themselves by any and all means available the pirates and their Islamic terrorist associates will have no incentive to stop their crime spree on the high seas. 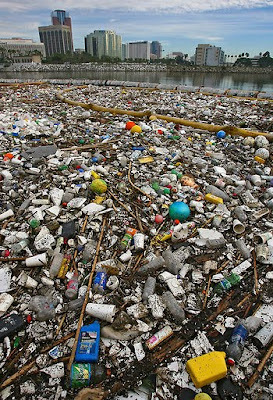 Instead of wasting billions on an international marketing effort to convince people of the threat of global warming, why not just go out there right now and clean up the floating pile of garbage in the Pacific? It's right there in the ocean where everyone can see it and touch it. But no, that would be way too constructive. What we need are more meetings and conferences and accords and agreements and panels and committees and fact finding missions, all designed to appease the third world and level the playing field between the haves and the have-nots. Sure, hamstring American industry while the governments of South America, India, Africa and China exploit their natural resources without restraint. Create more legislation, more bureaucracy, more laws, particularly international ones, that can't and will never be enforced. 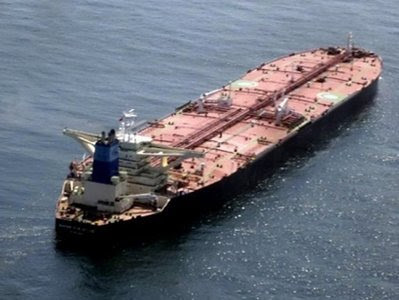 If we can't stop piracy on the high seas because we're too worried about violating the rights of the Banana Republics, how can we make sure effluence and emissions in China and India are at maximum allowable levels? Maybe I'm crazy, but if you want to stop pollution and "global warming" you simply have to look around you and take a few very simple steps. First, clean up that gargantuan floating barge (the size of Texas) of plastic flotsam and jetsam in the Pacific. Second, stop manufacturing or just stop importing toys and other items that come in plastic packaging. Before Christmas I bought a small compass for a friend's son. There was more plastic, metal and paper in the packaging than in the thing I was buying. How stupid is that? It's so stupid as to be its own joke. And, I guess, shame on me for buying it, except, in my defense, it was still a lot less wasteful than my other choices. So, let me get this straight. Instead of cleaning up the pollution we've already created and reducing environmentally harmful emissions by NOT manufacturing packaging material we don't need or want, we're trying like hell to reach international agreement on reducing plant and other greenhouse gas admissions in order to reverse something a lot of scientists don't think really exists or can be reversed effectively by man. And we're doing this by trying to establish a set of unenforceable international laws. Wouldn't we accomplish the exact same thing by doing the former, by cleaning up the mess we've already made and reducing wasteful manufacturing? Who the hell is in charge here? It's like the world is being run by The Marx Brothers.